C&IT's Internal Communications Event of the Year award was won by Rapport for its ONE Astellas Live event. The winner in this highly competitive category, ONE Astellas Live, created by Rapport, was described by one judge as a "highly motivational and ambitious programme". Astellas Pharma Europe wanted to present its vision for the next decade to all of its employees at the same time to celebrate its 10th anniversary. As it was not possible to bring 4,700 people together in one location, Rapport created a virtual global event that required a groundbreaking simultaneous two-way interactive broadcast across 16 countries with a choreographed performance on the scale of Eurovision. 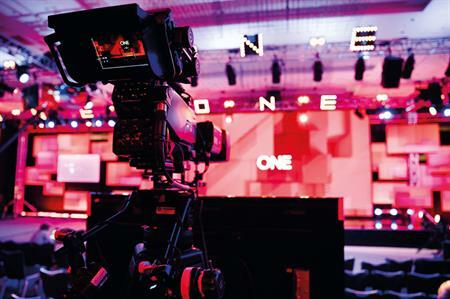 Hosted in London, the broadcast bounced between locations throughout the day; each country staging different segments that focused on company values, local culture and their individual achievements. By using employees’ own stories, Rapport illustrated the uplifting personal moments that employees from across the EMEA region had in common. Success was measured against employee engagement with a target for 80 per cent of employees to feel motivated and positive about being part of Astellas. Results showed 91 per cent said the event made them feel motivated and positive.